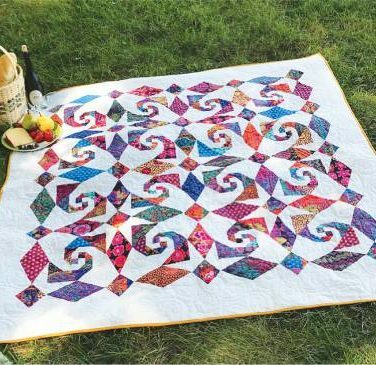 Learn how to make this quilt – and it’s not hand appliqued! 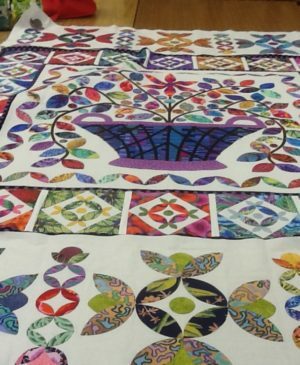 Jane will teach many techniques, including ways to prepare applique shapes for machine sewing, how to make bias strips for stems and vines, and how to place applique pieces on large backgrounds. Start the day with instruction and spend the rest of the day sewing. Dates: April 3, May 1, June 5, July 3, August Off, September 4, October 2, November 6. 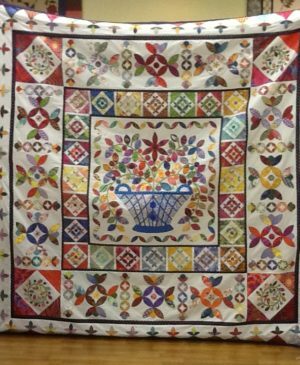 This is a wonderful pieced and appliqued quilt pattern by Kim Mclean. 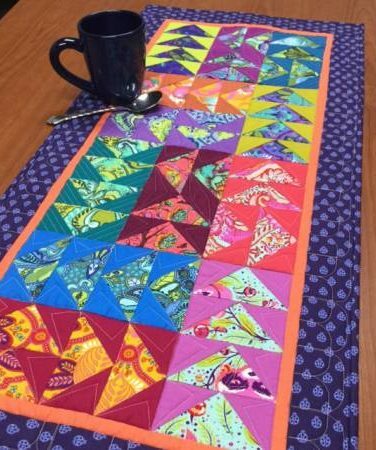 Kim is an award-winning quilter who sews traditional style applique quilts using Kaffe Fasset and similar fabrics, making them very modern and amazing. 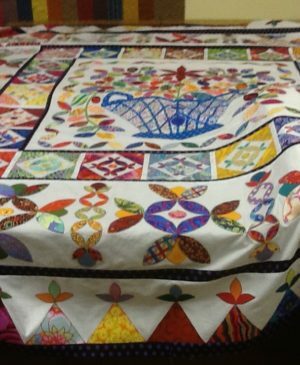 You will choose your own fabrics – see our batik sample in the shop! 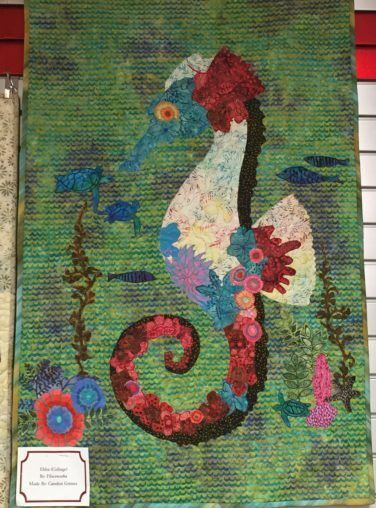 While the pattern is suitable for machine or handwork, the focus in this class is machine stitching.